The cards were intended to educate our troops to distinguish between ally and enemy vessels during wartime. 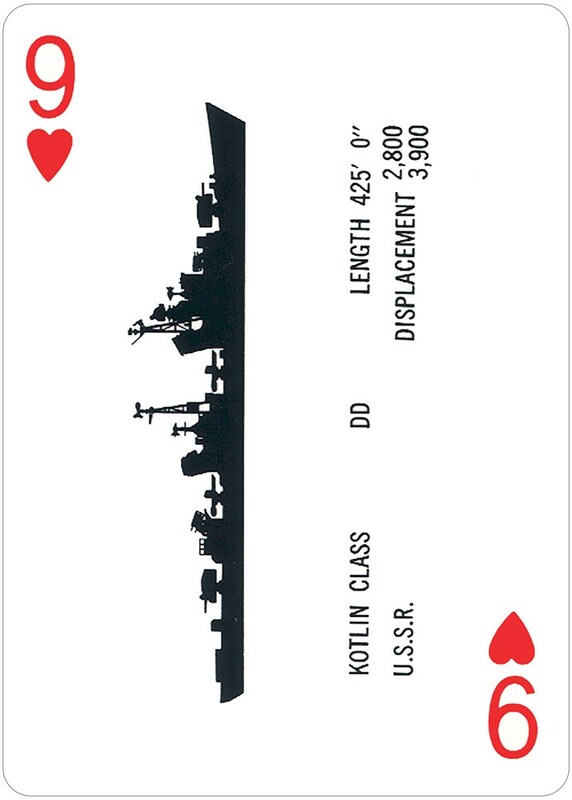 This facsimile deck of 55 Naval Spotter Playing Cards displays the profiles of U.S. and foreign warships from the 1940s through the 1960s. 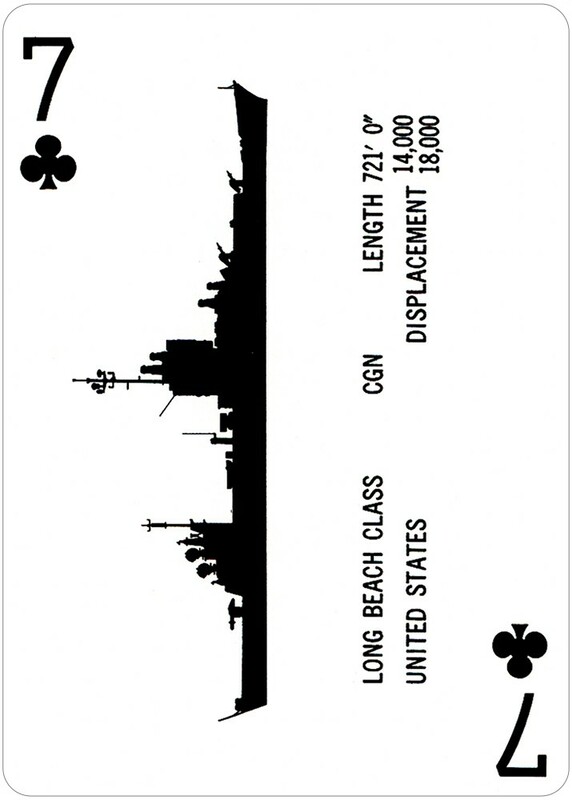 On the face of each card is the silhouette of a U.S. or foreign warship, as it would be seen by an observer on shore or from another ship. Each card also displays the name of the ship, its class and type, its length and displacement, and what country it belongs to. 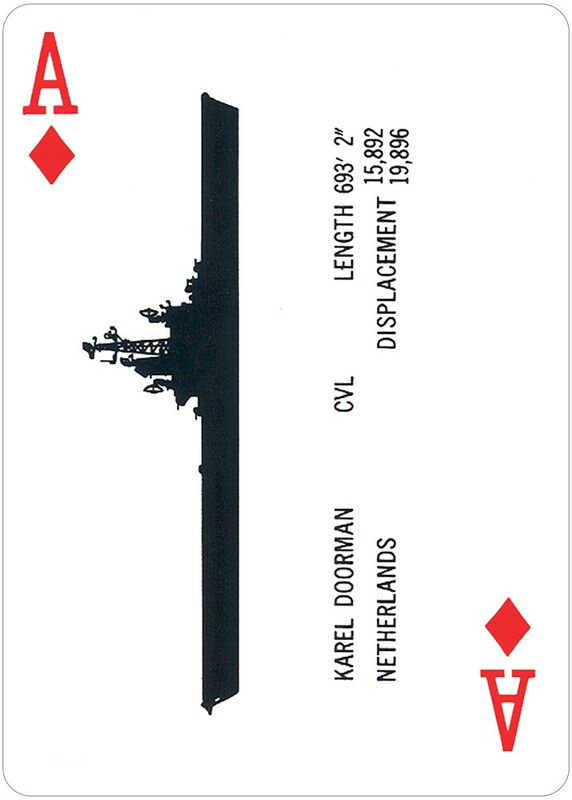 Included in the deck is a Naval Spotter Abbreviation Card. 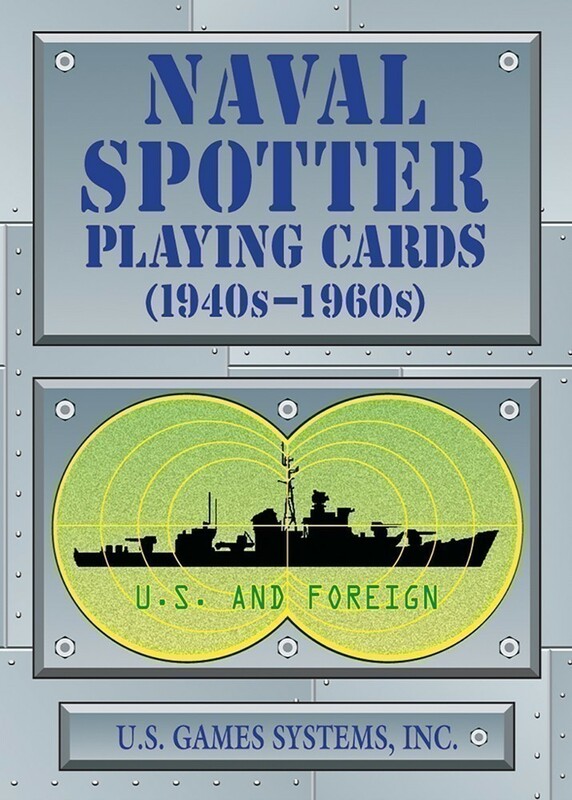 The Naval Spotter poker deck includes two Jokers, and can be used for many popular card games. The cards are printed on quality, European stock.